Unite for Literacy is known for its free online library of narrated picture books for new readers (www.uniteforliteracy.com). This week, we initiated what we have termed Two Book Tuesday (#2BookTues). 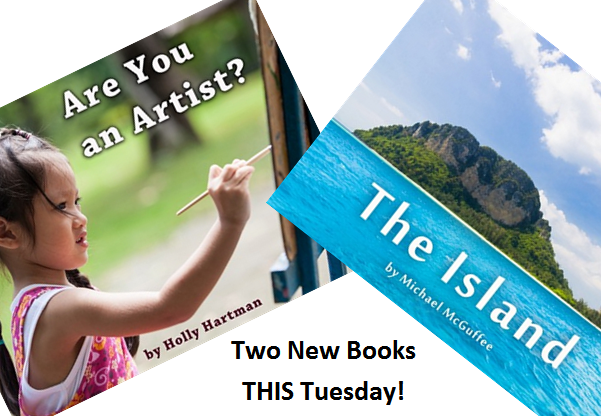 Every Tuesday for the foreseeable future, we will be adding two new books to the Unite for Literacy Library. Like all of our other books, the new books will be narrated in English, and at a minimum, five additional indigenous and world languages. The addition to our library of two picture books each week for new readers will keep each visit to the library fresh and fun. We hope you’ll keep in mind that our library is multidimensional. That is to say, adding two books with six narrations means we’re effectively adding 12 books each week. With this addition, we are raising the bar for ourselves, as speakers of our current other 20 languages will now begin wondering when those new books will be available in their mother tongues. Our current languages appear in as few as 10 books while some (e.g. Chinese, Spanish and English) accompany every book. There are several new languages in the pipeline now (e.g. Khmer, Dutch, Bangla, Guarani and Portuguese). Each language set is growing all the time as volunteers and language fans help us create versions of each book in the languages to enhance our library. Then of course there are the children from language communities for whom we currently have NO books, sad to say. What about them?! Well, our modest goal is to create a system through which we can offer Picture Book Abundance for the enjoyment of new readers who speak any of the nearly 7,000 languages around the world. By the end of 2015, we’ll have nearly doubled our library book collection, and if things work out, we could also double our languages. That could mean that by the start of 2016 we will be up to 225 books in 50+ languages, or over 11,000 free books for children and other new readers around the world to choose from and enjoy. We invite you to check out our new books and our new languages each week. In addition, please share this exciting news with parents, grandparents and teachers you know. There is much to be thankful for in our growth for 2014 and much to anticipate in 2015. Celebrate #2BookTues every week with us!